NORFOLK, VA (January 12, 2018) – It is with great sadness that we share the news that WHRV’s Neal Murray has passed away. Neal joined the WHRV staff in 1990, after a long and prestigious career in the Air Force Intelligence Division and later Armed Forces Radio, where he was a disc jockey and technical specialist in several countries. Having a lifelong passion for World War II era music, Neal created the big band program Saturday Night Fish Fry, heard LIVE Saturday evenings at 8 p.m. on WHRV-FM. The program continues to be WHRV’s most syndicated show airing weekly on public media stations across the country. “The WHRO and WHRV teams are heartbroken to say goodbye to our dear friend and colleague, Neal. He was a dedicated and passionate voice that our community will sorely miss,” states Bert Schmidt, WHRO President and CEO. “Neal & The Fish Fry were always the accompaniment to our Saturday night cook-outs. We love the music and learning about bands and artists from that era from a sweet, smart man with a wonderful voice. We will miss you, Neal Murray.” – Kimberly T.
“Neal Murray – you and the Fish Fry were my cheap date with my (now) wife. Katherine and I loved your show, listening while we played cards and hung out. 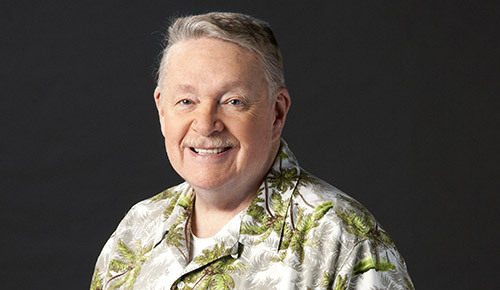 I will miss your voice that has been part of my life here in Hampton Roads for over 20 years.” – Rich N.
Details on a celebration of Neal’s life will be announced shortly. Listen to the archives of Neal’s program, Saturday Night Fish Fry.